Celebs were out and about this week, from Kaia Gerber showing off her style in NYC to Alex Rodriguez and Jennifer Lopez spending time in Miami and Charlotte McKinney breaking a sweat. Read on to see more of what the stars have been up to! — Paris Jackson celebrated her birthday at sbe’s HYDE Sunset in West Hollywood where friends and family enjoyed chicken slides, spicy curly fries, tuna tartare and more. — Celebrity designer Jason Wu enjoyed a night out at Tang Hotpot and enjoyed their signature Tang Pot which comes with two broth styles— one incredibly spicy Sichuan Beef Tallon Broth paired with Bone Broth. — Champion Athleticwear celebrated its first U.S. store opening in L.A.where the first 500 customers to shop received a limited edition canvas tote bag with exclusive art designed by Stella Blu. — Austin Mahone dined at 388 Restaurant and Lounge in Roslyn Heights, New York. — Simon Spurr and Spencer Ludwig chatted at an Avión Tequila dinner to launch the BondST Saketila, at BondST in NYC. — Hugh Jackman read excerpts from The Little Prince at a Mont Blanc gala and launch of #TheLittlePrince75 campaign in NYC. — Barneys New York, along with Georgie Flores and Gianvito Rossi, celebrated #BarneysShoeStories Beverly Hills Launch. — Bel Powley rocked Gemfields Mozambique rubies at a premiere party for her film Wilding with costar Liv Tyler, at the new Alley Cat Amateur Theatre. — Meghan Markle and Prince Harry are counting down to their wedding. To celebrate, Strongbow Hard Ciders has partnered with renowned British designer Stanley Chow to create a limited edition Royal Rosé Teacup Set so Americans can enjoy Rosé Apple Hard Cider the U.K. way. — Kaia Gerber wore Reformation’s Cuba Top and Converse Chuck Taylor High Tops while grabbing coffee in NYC. — Alex Rodriguez and Jennifer Lopez attended an influencer and media focused fitness event at the new TruFusion Gables in Miami. The couple greeted guests and observed the classes. 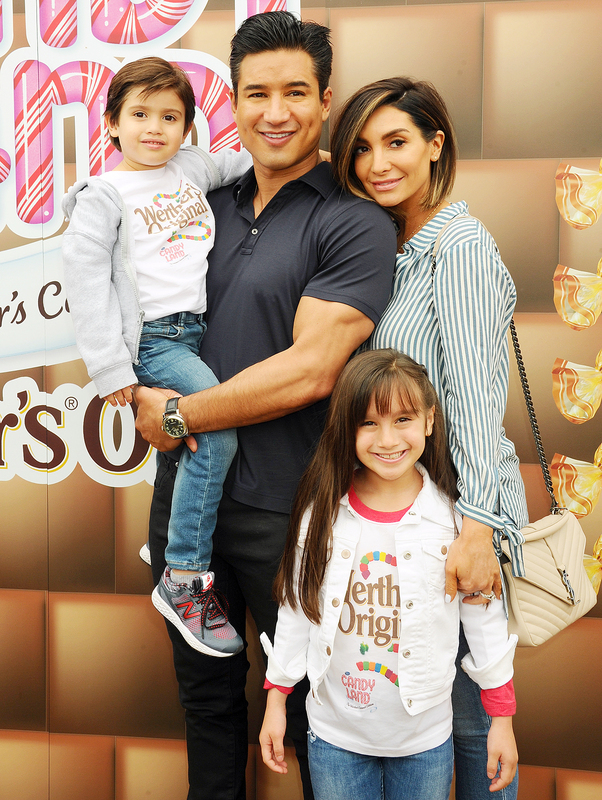 — Mario Lopez and his family joined Werther’s Original to celebrate National Caramel Day by Playing Life-Sized CANDY LAND: The Werther’s Caramel Edition Game, the brand’s collaboration with Hasbro, which popped up for one-day only on the Santa Monica Pier on April 5. — Twenty-four of the New York Rangers celebrated the closing of the season with 12 bottles of Barolo, meatballs, and 24 shots of tequila at Sauce restaurant in NYC’s Lower East Side. — Kylie Jenner sported a ARE YOU AM I top while promoting her lip kits on Instagram. — Charlotte McKinney worked out at F45 Training Venice. — Cynthia Rowley celebrated the opening of her 1,175-square foot shop in The Malibu Lumber Yard. — Kerry Washington looked fabulous as she arrived for her appearance on Good Morning America wearing The Jetsetter frames by Privé Revaux.